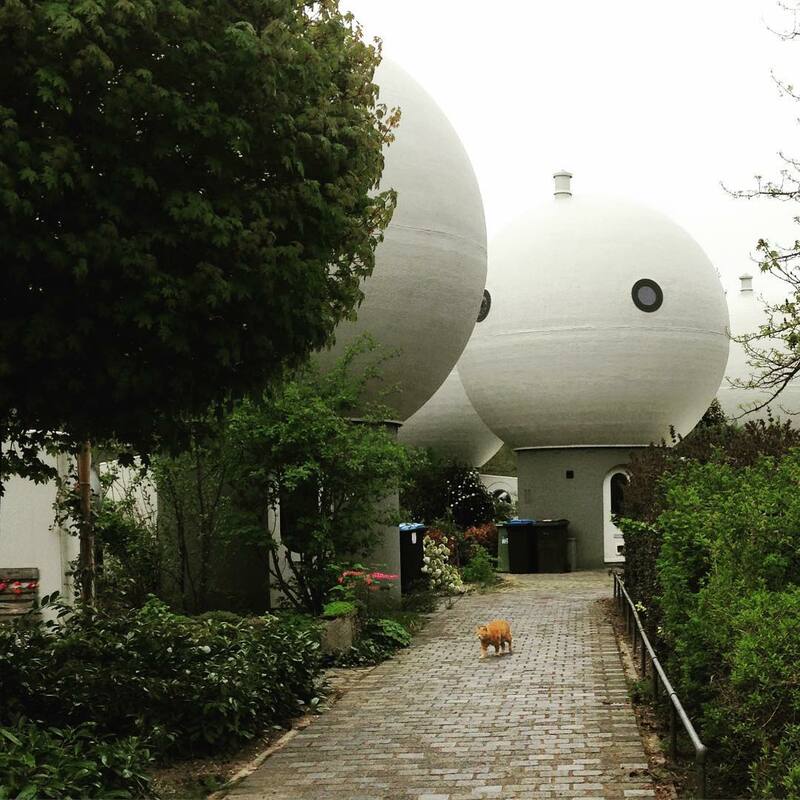 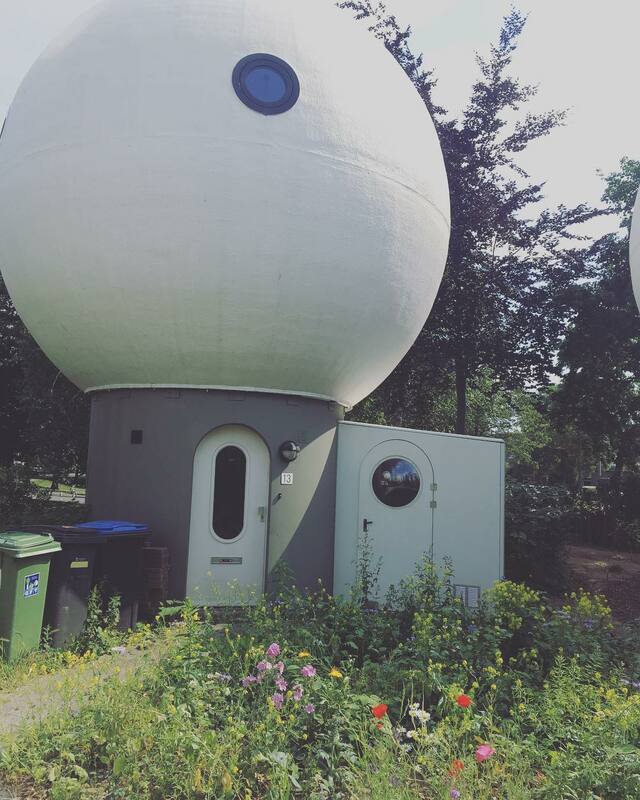 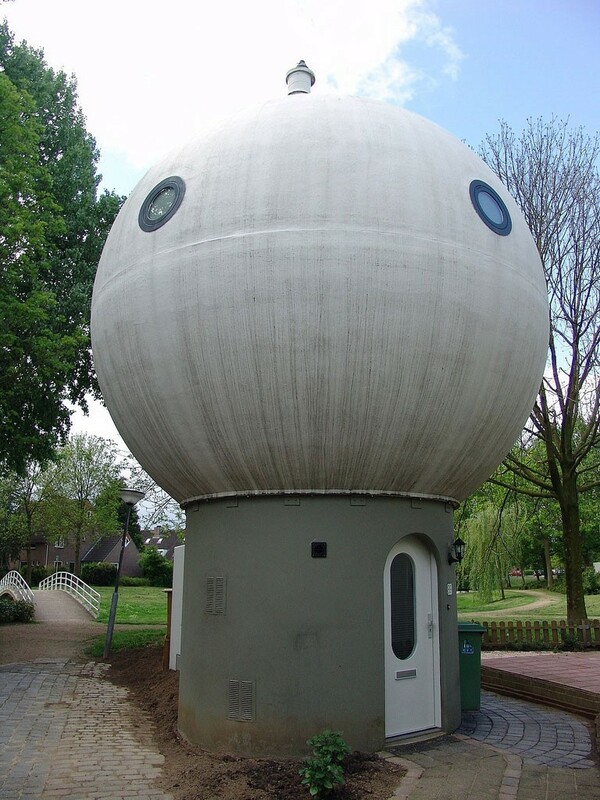 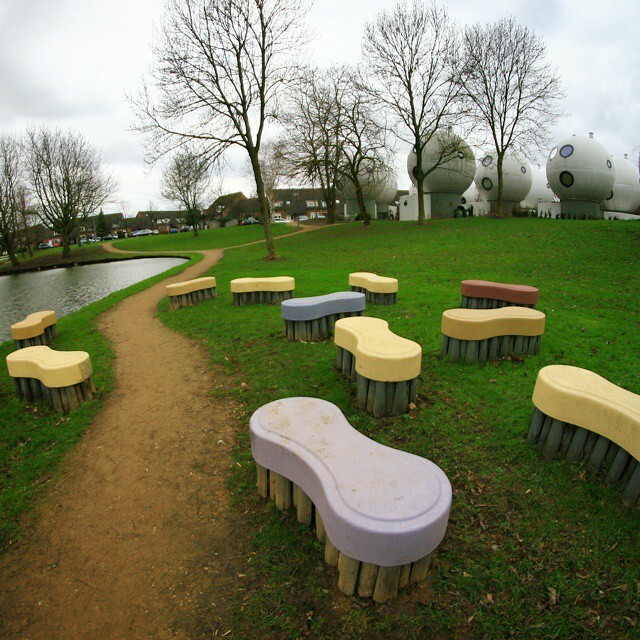 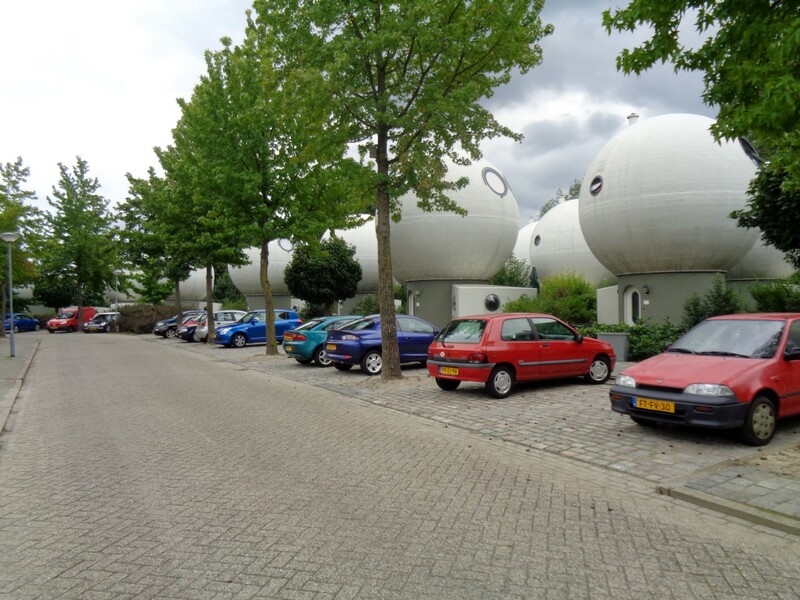 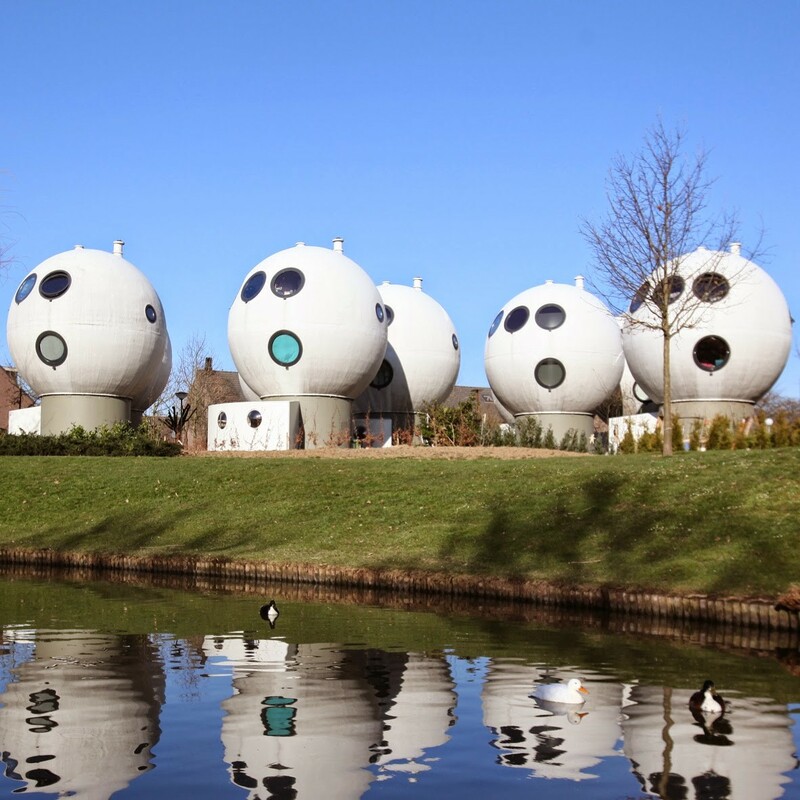 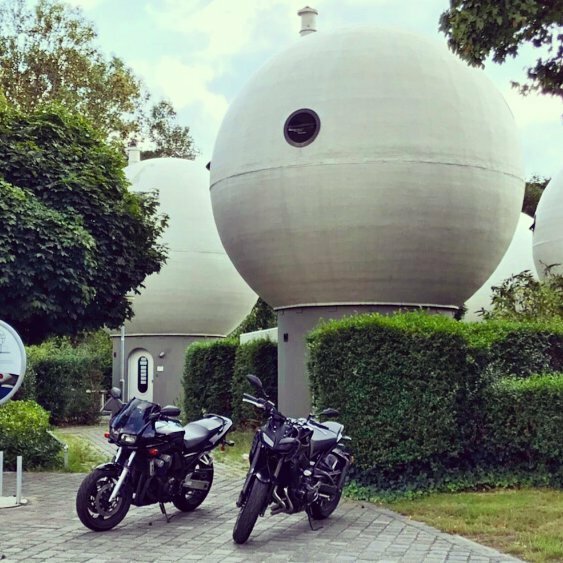 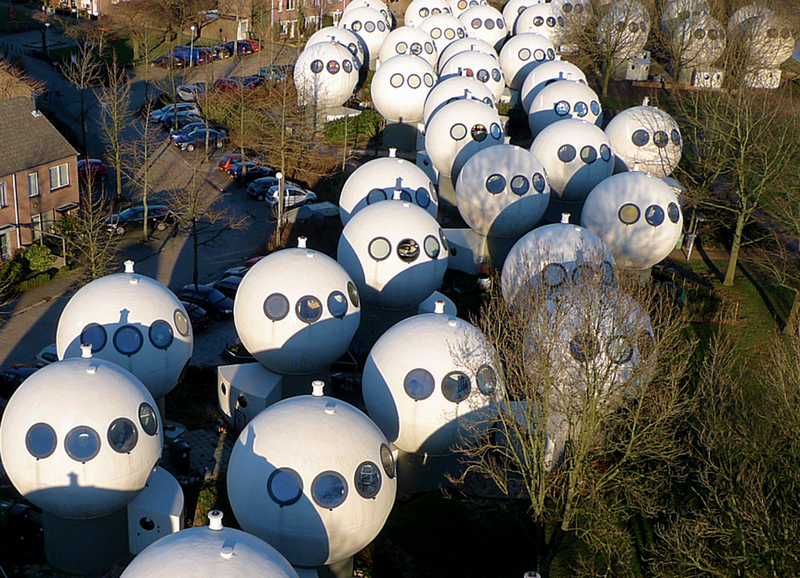 Hertogenbosch (“Den Bosch”), Netherlands is home to an unusual neighborhood known as Bolwoningen, which means ball houses. 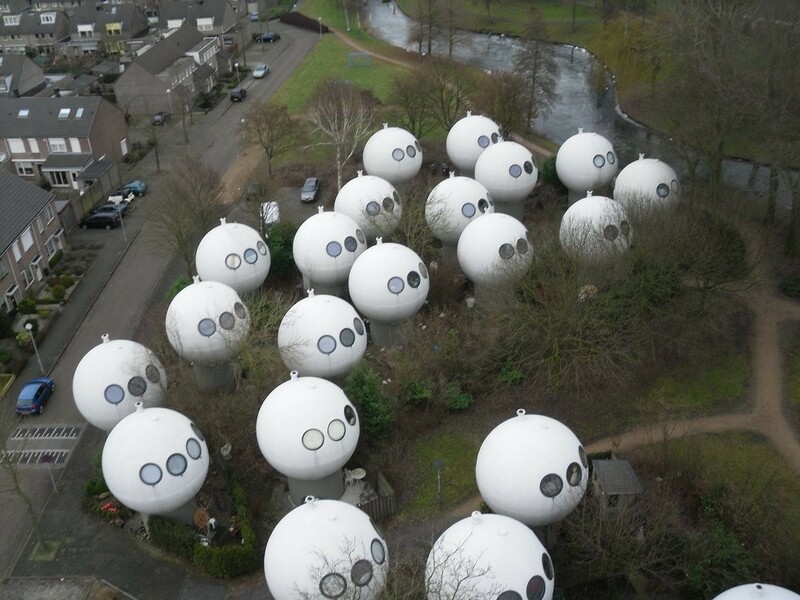 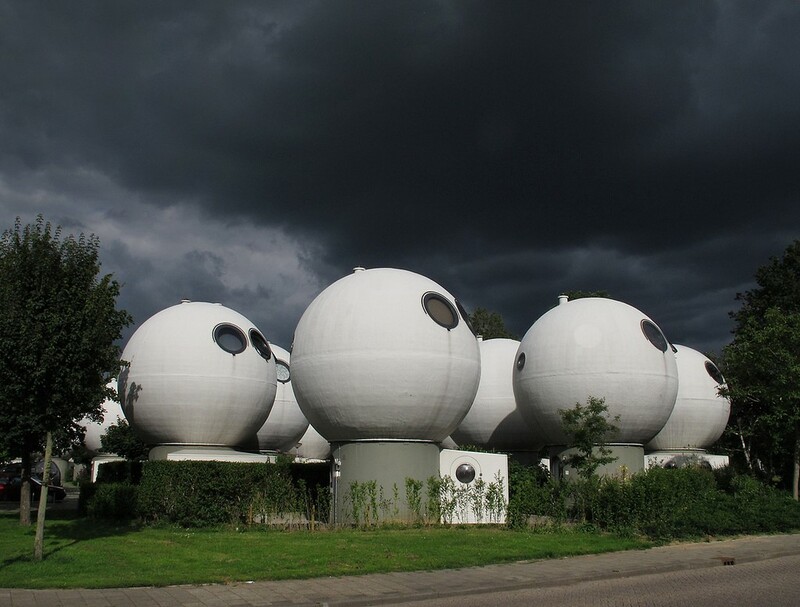 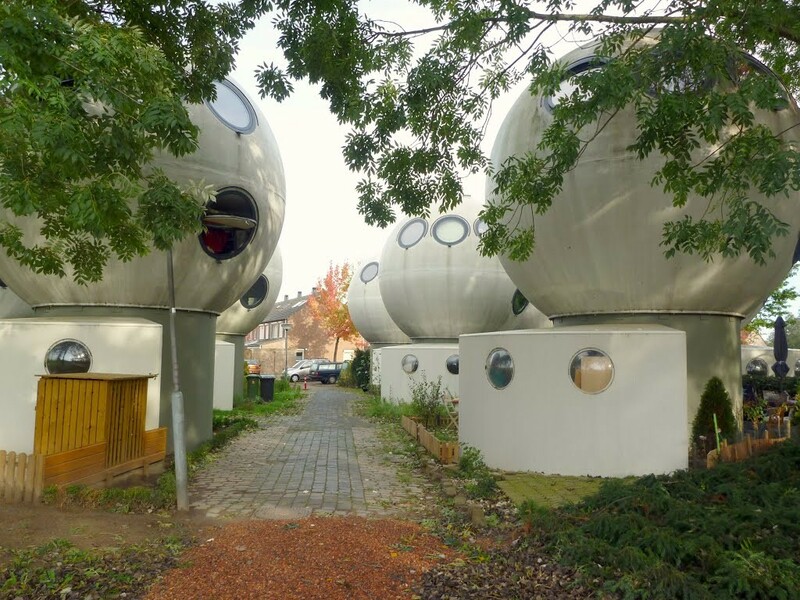 At first glance it looks like post alien invasion scene, but don’t be scared; these houses are occupied by humans only. 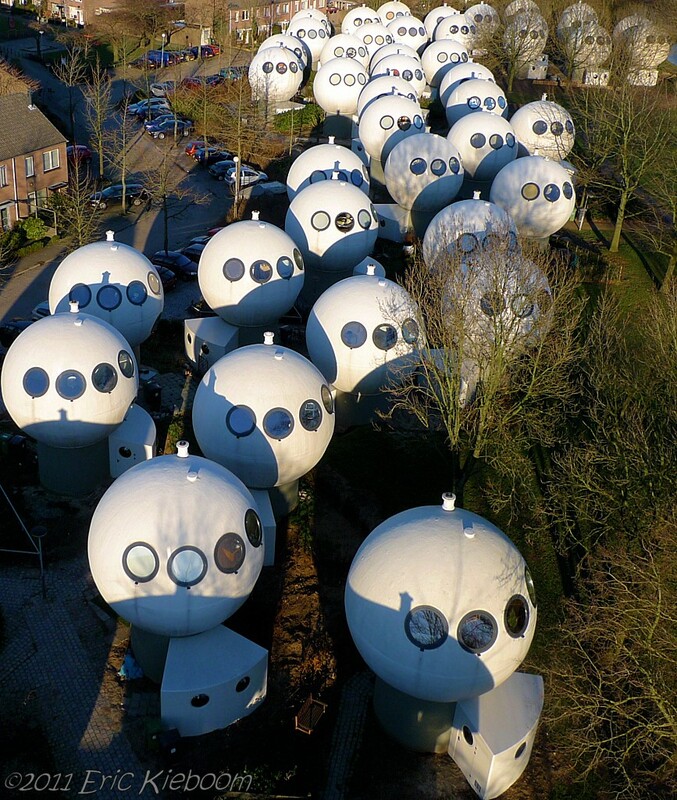 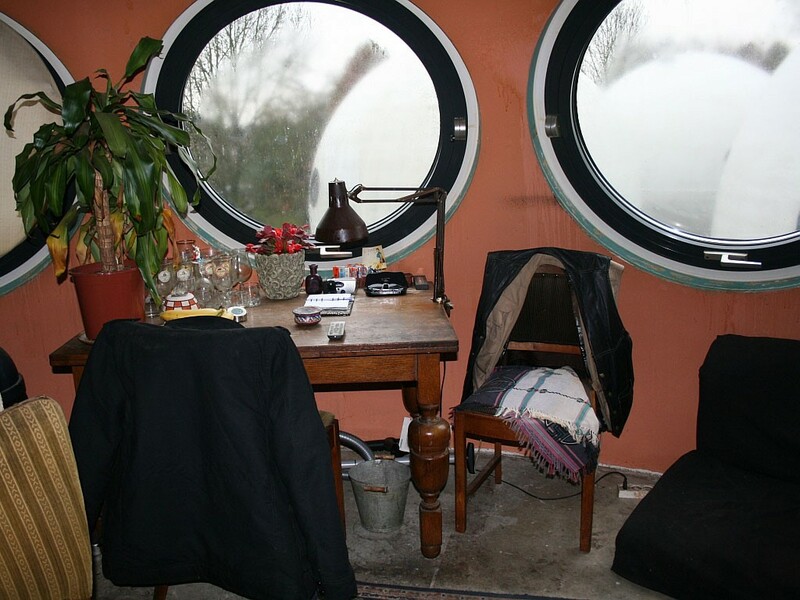 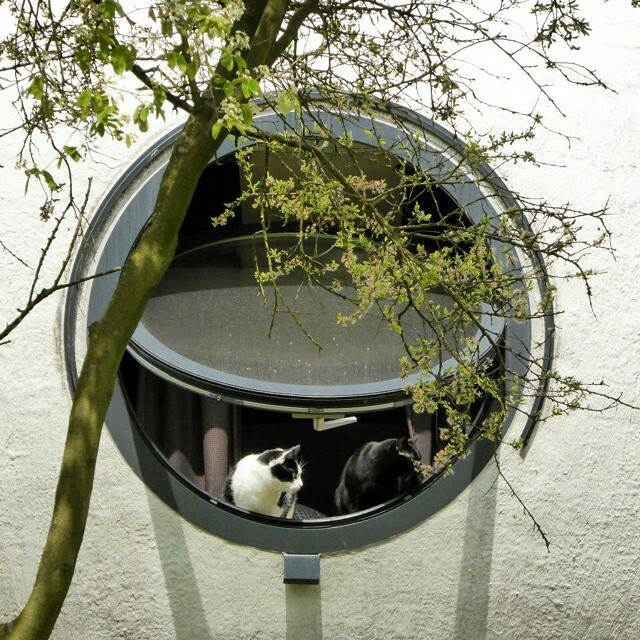 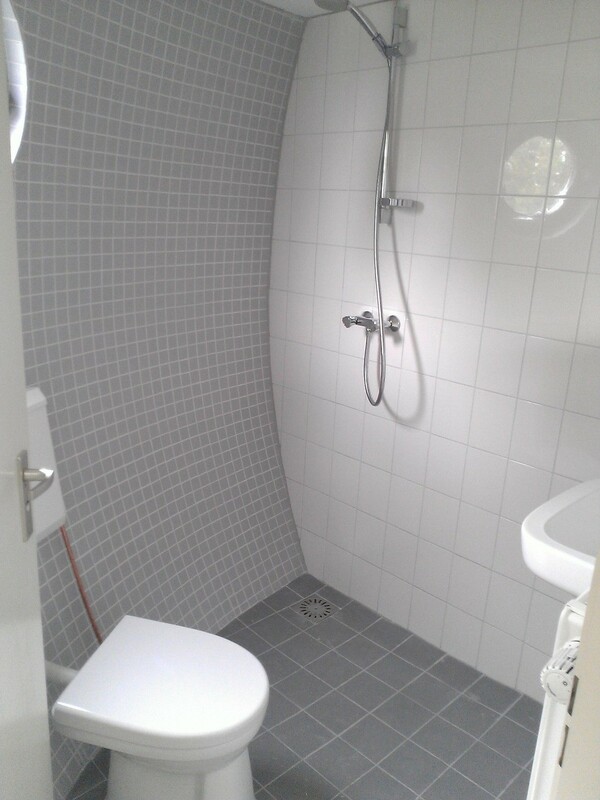 In 1968, the Government of the Netherlands decided to fund an experimental construction of low-cost housing. 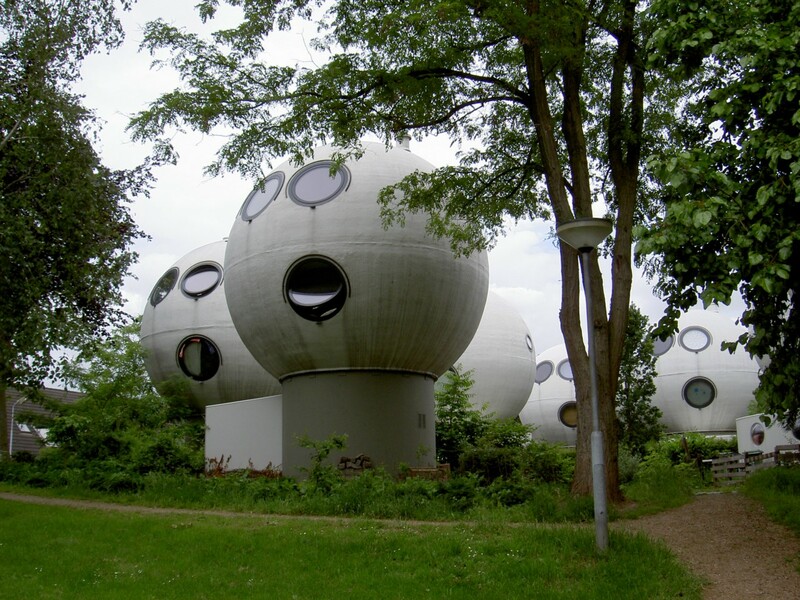 The architect Dris Kreikampa’s project “Bolwoningen” was chosen, but construction began in 1980. 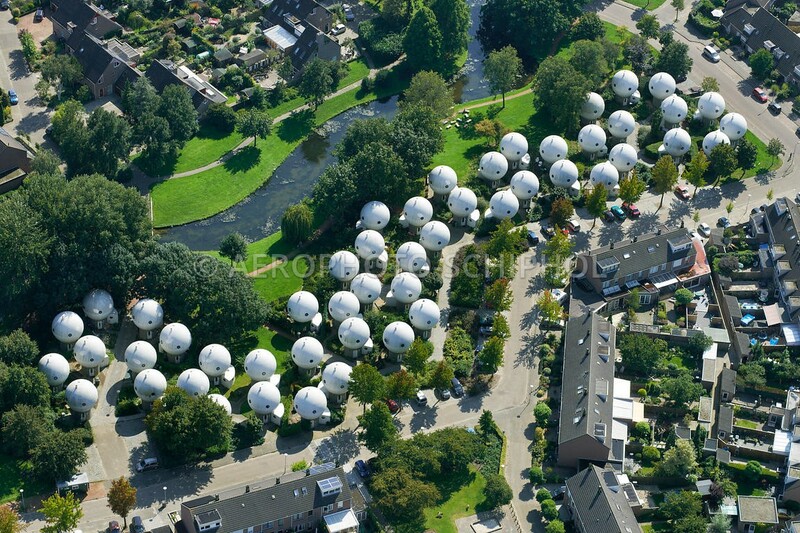 Bolwoningen consists of 50 sphere houses. 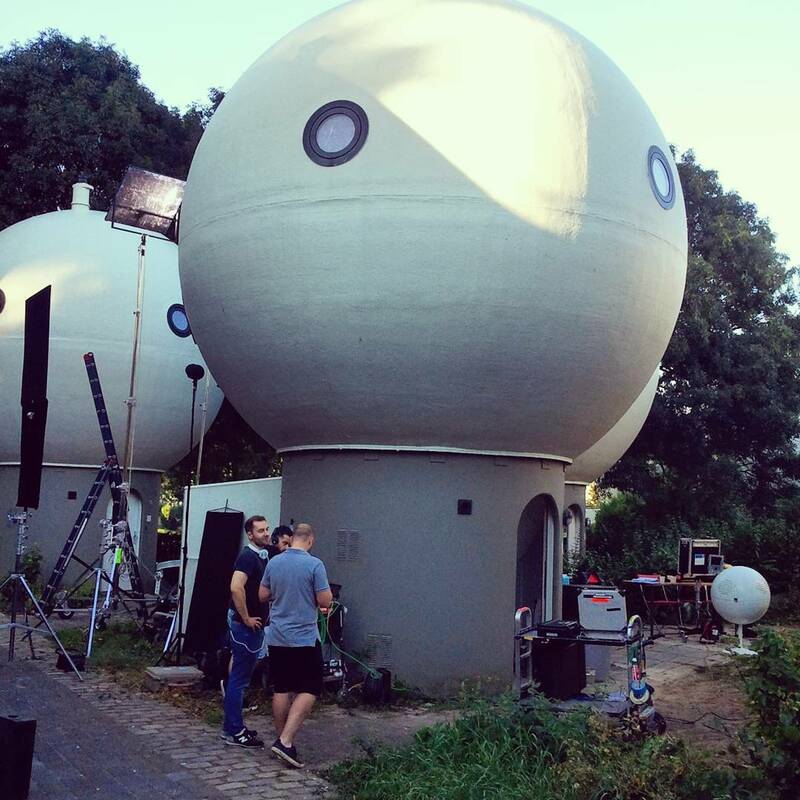 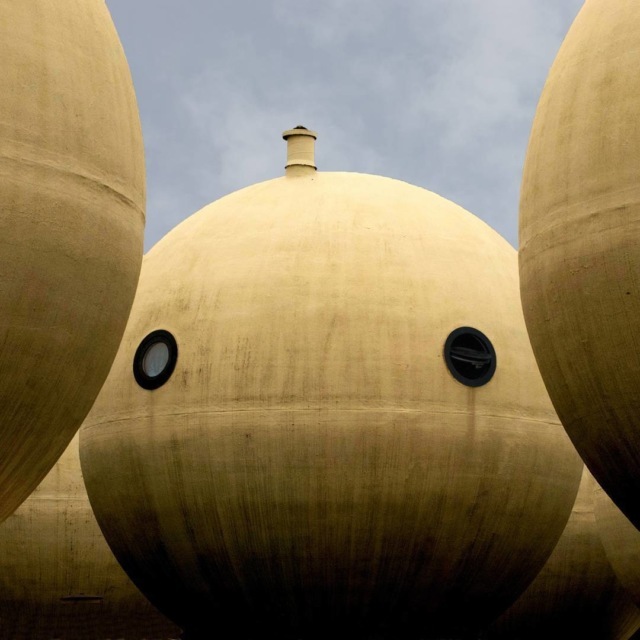 The balls are made of cement, reinforced with fiberglass. 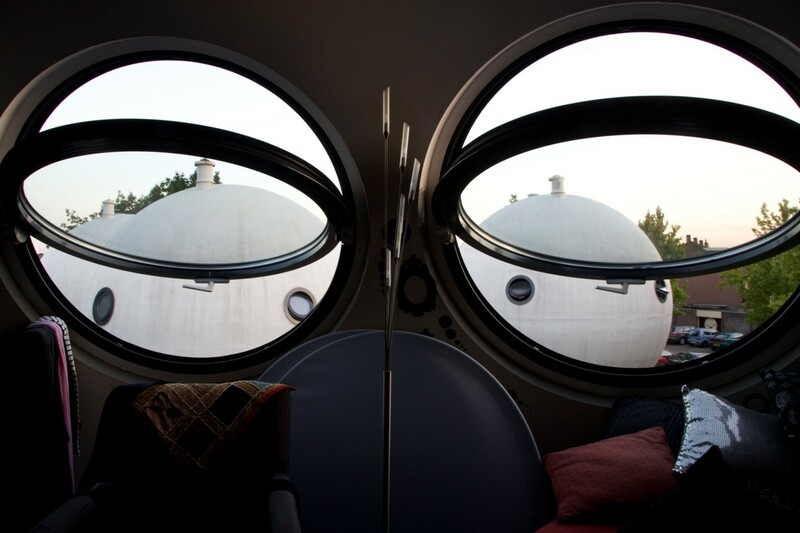 They are mounted on the base in the form of a cylinder. 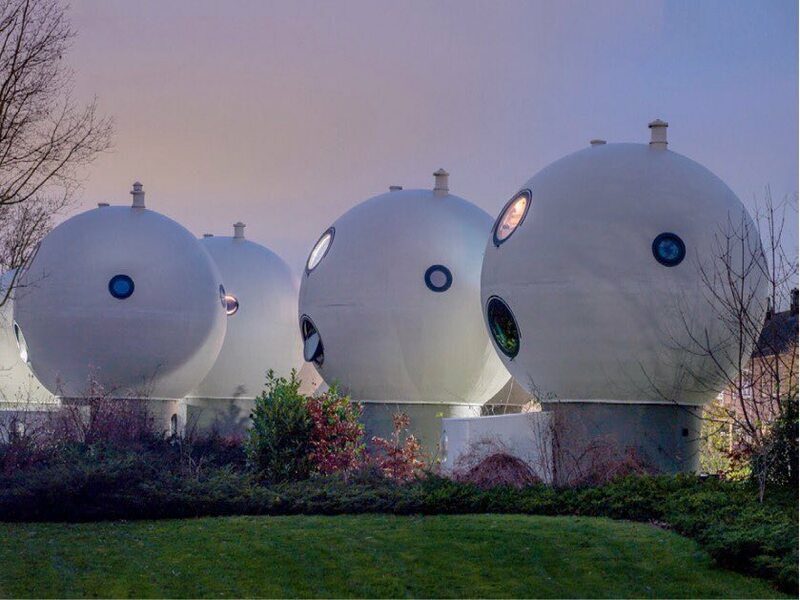 Each sphere’s diameter is 18 feet and each has 11 round windows. 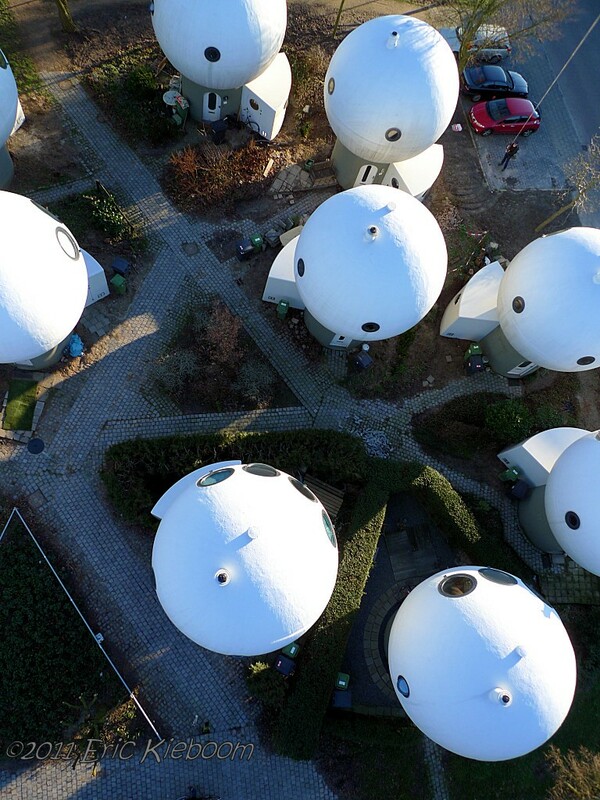 The layout of these structures is quite unusual. 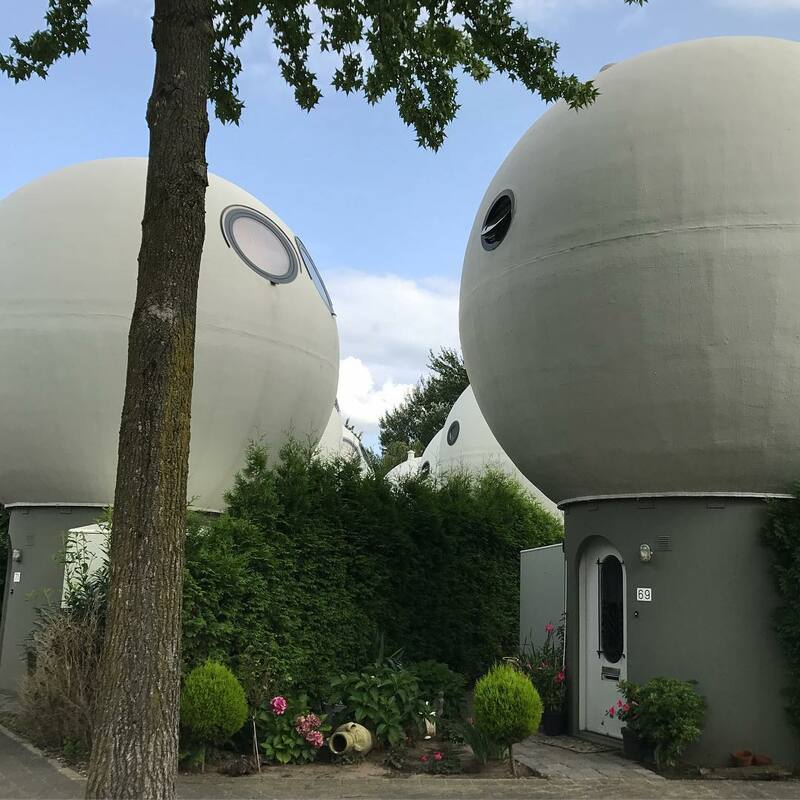 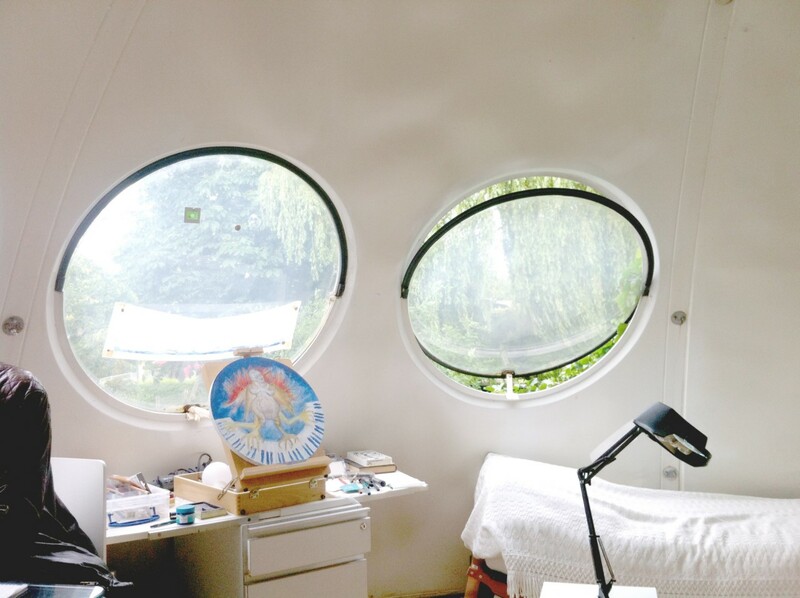 In the center of the sphere there is a bathroom and a tiny bedroom, and a living room and kitchen, are located on the second floor-level. 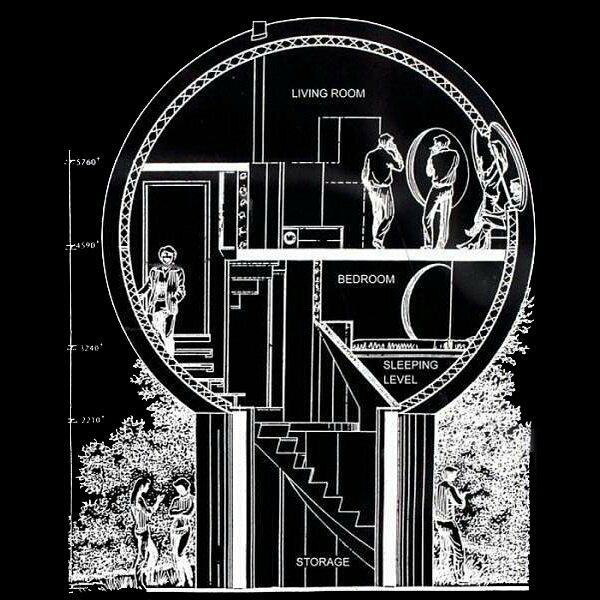 The house can be completely disassembled and transported to any other place (the weight of this building is only about 2755 lbs). 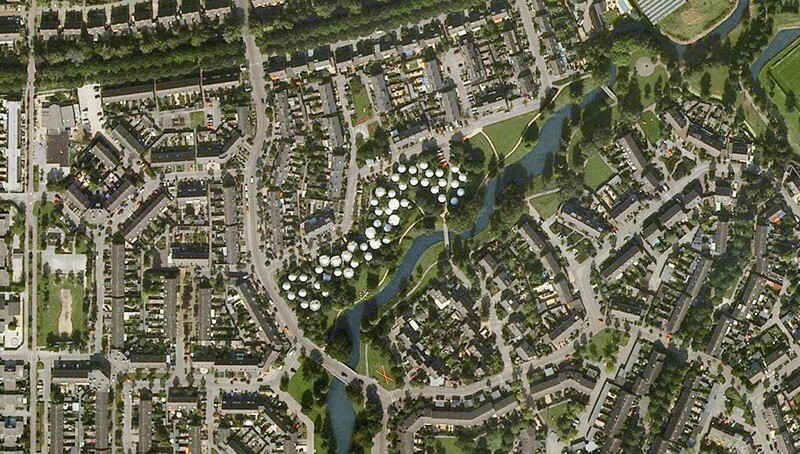 In addition, this building can be placed not only on the ground, but also on water, on a stationary platform.